In this morning's Sapphire Now keynote, the co-CEOs reiterated SAP's focus on delivering software on-demand, on-premise and on-device. And while attendees are all ears, reality is different. ORLANDO -- SAP today reiterated its focus on delivering its software on-premise, on-demand and on mobile devices and on designing these components in a consistent way to ensure consistent, real-time data. Yet many of SAP's core customers remain focused on getting onto the latest ERP release and taking advantage of Solution Manager. 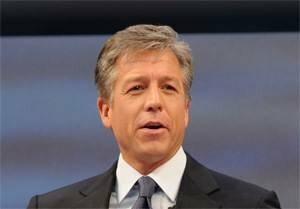 Bolstering what SAP calls its commitment to on-demand, the company today made Business ByDesign generally available, two years after the on-demand suite for small to medium-sized enterprises was debuted with much fanfare and subsequently pulled back off the market as SAP sought to "adjust the pace" of the rollout. A new version of Business ByDesign, version 2.5, will be available in July. The news drew polite applause from the crowd of thousands gathered at Sapphire Now when co-CEO Jim Hagemann Snabe told them they could buy the on-demand suite. The reaction summed up some of the sentiment around SAP's roadmap. Customers are excited that SAP is looking forward at on-demand, in-memory and delivering everything on mobile devices. And in fact, some customers are taking steps in those directions. But some Sapphire attendees surveyed indicated that their organizations aren't going there yet. Instead, they're focused on upgrading to the most recent version of ERP 6.0, making enhancements to the modules they have in place, or trying to figure out how to better use tools like Solution Manager. "Right now, no," said Steven Barnash of W.W. Grainger Inc. "It's nice they're trying to be out there, but there are practical things [within my organization] that need to be solved." He named test management among them. His colleague, James Finn, agreed and said he's trying to balance streamlining operations in IT against the external reach into the business. Learning how to better leverage tools like Solution Manager are among his initiatives. He said the company may wind up looking at in-memory technology and already has some in-memory technology in place with the BW Accelerator. "Not really," said Ryan Camerlengo, team CRM lead at Burton, when asked whether he could see SAP's commitment to in-memory, on-demand and mobile playing a role in the near future. He said Burton, which implemented SAP Apparel and Footwear Solution (AFS), is focusing on whether to upgrade from ERP 5.0 to ERP 6.0 and was here looking at what enhancements could be made to the AFS implementation. "To me, personally, it does make sense. I see it going on in IT," said Roger Smit, an SAP consultant working at Nevada United Telecommunications Service. "For my organization, we're living on a small island, we're a few years behind. I see us going there." Currently, his company is working on an upgrade from ERP 4.6. That sentiment may be a good thing for SAP, as the vendor has yet to reveal the other prong of its on-demand strategy -- a set of on-demand, line-of-business applications for large companies that will complement on-premise installations. Applications for expense management, sourcing management and people management will ship later this year, Hagemann Snabe said. Much of the keynote was focused on SAP's mobile strategy, not surprising given last week's Sybase acquisition. "We believe there will be an extreme demand for mobile experiences," Hagemann Snabe said. SAP will deliver the infrastructure and partners will deliver "experiences" on the devices. The combined SAP-Sybase will be the only company in the world with a full suite of enterprise software and next-generation business intelligence on any device, anywhere, anytime, McDermott said. He told the audience that mobility was the new desktop and that it will drive adoption and extend the power of real time to the mobile business consumer. "This convergence of mobility and real time will create new categories of business applications, it will unlock the value of your platform and the investments you've made, and it will do so without disruption," McDermott said. As for SAP's on-premise software, Hagemann Snabe said a new enhancement package will be available later this year. When all of these pieces do become available, he promised, they will be delivered in a consistent manner– such that it will be easy to start a part of a business process on a mobile device and have it connect to the back-end SAP system. He termed the project "Networked Solutions" and said he would make sure these systems ensured consistent data. But he made no mention of MDM. "We do not believe that middleware should hide inconsistencies between systems," Hagemann Snabe said. "The big idea is that we design all pieces with consistency -- data defined in a consistent way, processes designed in a consistent way, SOA used in a consistent way."